Have you noticed your face glow after a good cardio workout ? Fitness professionals tell us, that the best facial before a party is not in the beauty salon, but in your high-intensity cardio workouts ! Try it and see your moods soar too! Tweet this : http://wp.me/p5pXA6-8K and spread awareness. Walking is a primal pattern. Is that why it is the simplest way to shedding some weight? Could be. To lose weight and then keep it at bay, we all need to keep moving. At a moderate pace for 30-60 minutes or with a brisk walk, our bodies can burn stored fat, build muscle and speed up metabolism. Can cut the risk of heart disease, breast cancer, colon cancer, diabetes and stroke. Add to it the benefit of feel-good-after-a-fitness-walk factor. I prefer outdoor walking to walking on the treadmill, in a gym. Fresh air, luxury of space and nature, and the opportunity to be with yourself is rejuvenating. 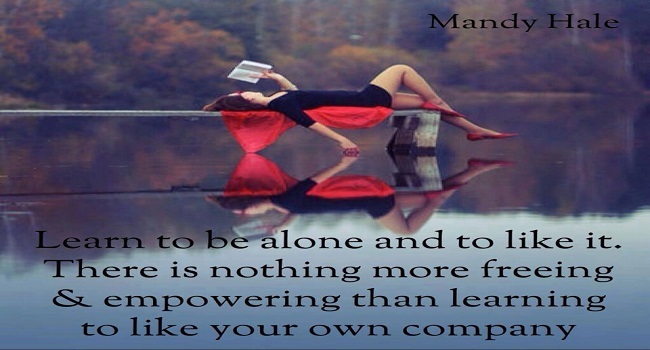 Yes, practice enjoying your own company, it clears your head! On a lighter note, “if you don’t like being by yourself, then you are in bad company”! Your feet have to last you your lifetime, give them all the care you can. There is no ‘one’ best shoe for all walkers. If your eyebrows have risen even as you are reading this, then its time to get your stride analysed. Visit a sports-medicine doctor or a reputed sports store, they will guide you on buying shoes that suit you best, in terms of proper support, flexibility and cushioning. If you have foot-pronation issues, they will suggest shoes that can compensate for the stride problems. If you are a fast walker, find out if you need walking shoes or running shoes. Click here to know more. When I say “good venue”, I mean a nice long stretch of mud road or macadamized road. Walking in the sand is only for the strong-legged and those in advanced stages of fitness. If your walking track is a short one, like those in small parks, you will, most likely, get bored or run out of patience doing several-several rounds. Fitness walkers can lose weight, improve their aerobic conditioning by building their speed, and following a variety-program of interval and endurance workouts. You can bid good-bye to fat and other health risks, with moderate to vigorous intensity walks.To achieve the above, you need a walking track that can afford you space and distance. Boat Club road in Chennai is my comfort zone, but I push MY comfort zone by altering and modifying the intensity of my walks every other day. A 6.0 km distance covered in 60 minutes, modified periodically. Make sure your clothing is comfortable and shoe laces tied firmly. Wait , getting off your motor-bike, or out of your car and plunging straight into brisk fitness walking is a no-no. You would want to wake your muscles up and let them know they are going to be active for a while. Warm up for 5-7 minutes with an easy-paced walk. Why warm up ? Because if you start walking straight away at a high-speed, your cells do not get the signal that it is going to be a long-term activity. Instead of pulling fat out of storage, they burn up sugars only, in order to meet the energy needs. Stretching is to improve your flexibility, avoid injuries and make your walking comfortable. Warm-up and flexibility in that order. If you stretch cold muscles, you are likely to hurt them. Start with stretches for the top of your body and work your way down. Here are two links to stretching, before your fitness walk. Follow the ones that are suitable, depending on the venue of your walking workout. Now that you are in motion, lets look at Form/Posture and Technique. Hold yourself erect, without arching your back. Do not lean backward or forward. By doing so, you are only straining your muscles and additionally losing power in your walk. Keep your eyes looking forward, not down, rather 20 feet ahead. Keep your chin parallel to the ground. Be kind to your neck and upper back muscles. Keep turning your head to your left and right, now and then, to avoid stiffness in the neck. Keep your shoulders relaxed, do not round them. Tuck your stomach in and hold without straining to breathe. This will help maintain normal back curvature. Arm motion can lend power to your walking, burning 5-10% more calories and can lend balance to your leg-motion. You have two options : a) let them hang loosely and swing them as you start walking (that’s easy and hence no image provided), b) bend your elbows at 90 degrees and swing them back and forth. In both cases, keep your fists in a soft closed curl, never clenched. Clenching can raise your blood pressure. With each step, swing your arms back and forth, in a straight line and not diagonally. Correct your arm stance, over a few days, if you have to. Keep your elbows close to your body. No chicken-winging. The forward hand should go only as high as your breast-bone. If you are in the process of correcting your arm-motion, you may find it tiring at first. Rest the hands for a while and resume. The benefits are long-term! Actually, this should be priority #1. I would say, watch your step (pun intended !) everywhere, at home, at work, at play, in the gym, at parties, at a trek, literally everywhere. Because every time we take a step, we are exerting a certain kind and amount of pressure on our feet, and it better not be wrong ! At your fitness walk, your step needs to be a rolling motion. Strike the ground with your heel first. Let your foot roll through the step, from heel to toe. Bring the back leg forward and strike the ground , heel first and carry on. If you want this motion to be smooth, remember priority #1, i.e., good flexible shoes ! If your strides are not in keeping with this technique, a bit of practice will help. Again, benefits are long – term ! Try this technique, your speed will increase proportionately. I am a light and brisk walker myself already and it has helped me, in effortlessly increasing my speed. Now, this is why I suggest you walk by yourself, if your fitness walk is to yield results. No I am not anti-social, neither am I asking you to be. Lets socialise after the walk ? This one hour or more is dedicated to doing good to my body and I demand 100% from it. Engaging in conversation or laughter, takes away your energy and focus from your body, posture going for a toss ! Instead, plug on your headphones and listen to some music, stay with your thoughts. An imp tip: Practice being light-footed. Horses, deer and other animals can sprint, because they are light on their feet ! Those that walk with a heavy step tire easily and lose out on speed. So you have now come to the last lap of your fitness walk, assuming you have walked enough, to fetch you cardio-vascular benefits. Slow down your pace to an easy one, for the final 5-7 minutes, letting your body cool down and your heart-beat being back to normal. Do not forget to repeat a few stretches, before you hop on to your bike, or into your car. The key to a good walking stride, is to avoid over-striding. Some people take long strides, in order to burn more calories and increase speed. Doesn’t work that way, Over-striding is inefficient, and can harm your back and leg muscles. Instead, take smaller steps. Your focus should be on the stride behind your body, on the back leg, where your toes push-off the ground. Your forward leg has no power, its your back leg that is propelling you forward. Do you agree ? Ask fast walkers and marathon runners, they will tell you that they train to increase the number of steps, rather than lengthen their stride. Speed or Distance ? Answer is distance, if you want to burn calories effectively. Did you know that speed matters less? Its your weight and the distance you cover, that determines the quality of your fitness walk. The best way to burn more calories : simply walk further. Concentrate on building distance rather than speed in your fitness walk in the beginning. 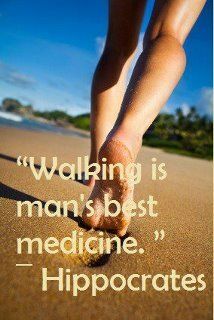 Build more time and distance into your walk gradually, till you can walk 30-60 minutes at a time. Aim to walk thus 5 or 6 times a week. If you can achieve the speed of walking a mile in 13 minutes or less, you will burn more calories per mile. Most efficient walking is achieved at moderate speeds. It’s true that at higher walking speeds, you burn more calories. As you advance in your fitness levels you could increase your speed, but without compromising on your form. When you walk at higher speeds, you put more muscle groups into work due to your arm motion and race-walking stride. Moderate speed is translated to as brisk walking. It’s also called a ‘fat-burning’ or ‘determined’ pace. At this rate, your breathing could be a tad harder, but yet you should be able to carry on a conversation in full sentences. This is just a guideline, no indicator that you should walk and talk. No! Or, it should feel like you are 10 minutes late, for an important appointment. At this speed for 30 minutes, you will start dipping into your stored fat. The Rule of Thumb for brisk walking : The Center for Disease Control and Prevention (CDC) describes brisk walking, as covering about five kms per hour, or 12 minutes per kms. However, fitter people are likely to cover 6.5 kms per hour. You can use this walking pace calculator to find your walking pace, by entering your distance walked (miles or kms) and time, to get results in minutes per mile, or minutes per kilometre . Or, you could use the various apps and walking speedometers, if you want to track your pace and progress. Please do consult your doctor if you have any health issues, before embarking on brisk walking. And consider your age, to determine how strenuous your walking workout can be. If your walking workout leaves you feeling sore, or worn out the next day, take a day off. Rest the body and resume. 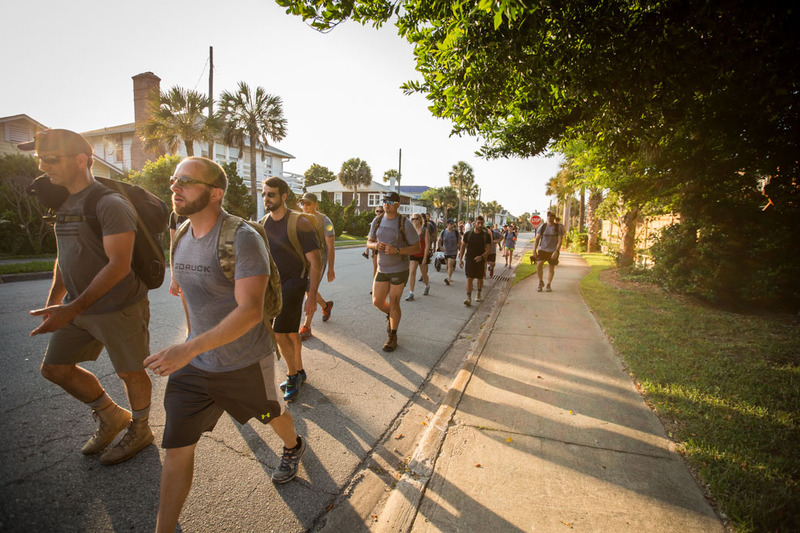 There are innumerable ways of adding intensity to your fitness walk. These variations, will not only make your walk more effective, but will also keep you alert, and add variety, making your walk more interesting. Interval training, can be incorporated into your walks, as well as in muscle-training exercises in the gym. Interval training is nothing but interspersing ( or shall we call it spicing ? ) your regular workouts, with high intensity levels periodically. Which means, you do a low/medium intensity workout followed by a sudden high-intensity one, thereby surprising your body. That in turn makes your body work harder to cope with the new pressure. Resulting in burning more calories. Isn’t that what we are looking for ? So, after you settle down in your pace, after the warm-up and stretches, choose a stretch of your walking track, where you will walk briskly for a few minutes and then suddenly, slow down the pace to normal. Next, break into a light jog for another few minutes, or steps and then walk briskly. Slow down, then do race-walking for another few minutes and slow down again. Choose what you want to do, when. Be your own trainer. Set your own limits. That way, you will slowly build up endurance without being under pressure to perform. 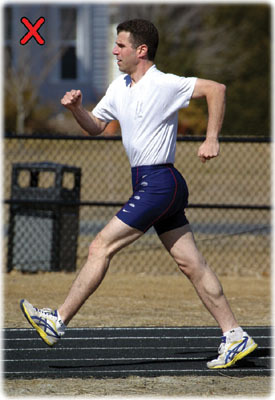 If you are able to run, add short running intervals. It will help you burn more calories and do more in that specified time. For best results, strengthen your core and abdominal muscles. They are crucial for a good fitness walk, in building speed and maintaining walking form. Walking by itself does not strengthen your core, you need to do a separate set of activity for it. Walking works the hamstring, glute and shin muscles. That is why you need to stretch after a walk. Walking can help build strength in weak knees. Click here to know more. But if you already have issues with your knees, take guidance from a sports-medicine doctor. Try walking on a variety of surfaces as you grow stronger. It helps in improving your body’s sense of balance. 1) Absolute beginners, do not rush into trying out too many things. Get your form right and everything else will follow easily. Build speed gradually, work more on increasing time and distance. Tying ankle weights, or wrist weights is not a great idea. They exert unnecessary pressure on the joints. However, if you absolutely want to carry weights, experts advise us to limit them to not more than 10 pounds. Carry them in a weight vest, backpack, or at the hips, so that body remains balanced and posture is not thrown off. By the way this is called ‘rucking’ , a combination of walking with a rucksack. Works very well only if proper form is maintained, else you are likely to injure yourself. So please try this under supervision. Beginners will build leg muscles with gradual increase in time and distance. Some people carry light/medium dumbbells, or similar and incorporate light weight-lifting arm movements. Please, please don’t! Weight training is meant to be a stationary activity, where all your focus needs to be, on how you lift weights. Wrong form can injure you. Finally did you know you can burn calories while you sleep ? The only way to achieve this is to build muscle. You can burn calories while you rest – it’s called the basal metabolic rate. When you add muscle to your body, your basal metabolic rate goes up. So it is best to add muscle-training, or weight training to your fitness workouts. That way, your entire body gets a workout. Your fitness walk then contributes and complements, making it a holistic fitness activity. Did you find these tips useful? Leave a comment or add info if you think I have missed out on something. It will help all of us, walkers ! Great article. I have started following the parts I missed. Thank you Rama! the article is a tad long, but couldnt help it if I had to detail the form and technique. I am glad you liked it and are following it.